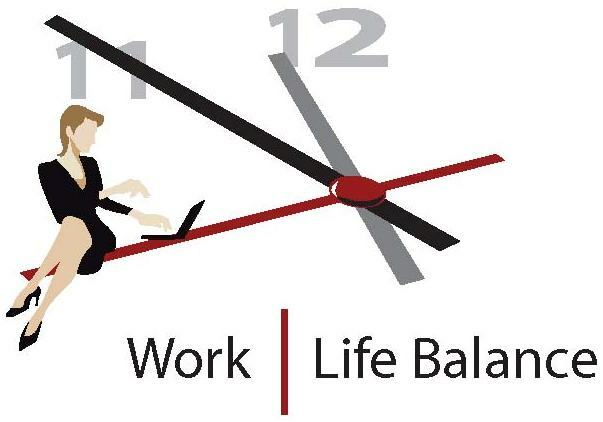 Work/life balance-the ongoing process of striking a balance between one's work or career and the other aspects or demands of life, including family, leisure and personal responsibilities-seems to have become a greater challenge over the years. A number of mega-trends are making it more difficult to achieve work/life balance. One factor is technological advancement, which has improved communications tremendously but has blurred the lines between personal time and work time. Another factor is demographic change, as numerous couples struggle to cope with caring for their aging parents on the one hand and their children on the other, a situation that places an even greater strain on the growing number of single parents. The negative effects of an adverse work/life balance include burnout, stress and health problems; it can also take a substantial toll on marital and family relationships. Since these issues can have a significant effect on worker productivity and output, many progressive organizations are making it a top priority to address the topic of work/life balance, and have put in place policies and procedures aimed at encouraging employees to achieve it. This is a positive trend, because proper work/life balance benefits everybody: employees, by reducing stress levels and increasing "down time;" employers, by improving productivity, reducing absenteeism and attracting/retaining good employees; and families, which benefit from increased parental involvement and more time with each other. Example, one in three financial analysts works between 50 and 70 hours per week. While financial analysts enjoy above-average compensation and growth prospects, as with any other demanding profession, there is a cost in terms of high stress levels and limited time for self and family. Work/life balance is a universal issue, as highlighted by the findings of the "eFinancial Careers Stress Survey,"a survey of 3,399 finance professionals in the United States, United Kingdom, continental Europe and the Middle East. The survey found that while 45% of Americans reported feeling stressed very often or fairly often, 55% of Middle East professionals and 60% of French respondents reported this level of stress. In addition, 66% of U.S. professionals surveyed said they had achieved work/life balance, compared with only 47% of Germans. Most of the biggest and best companies encourage work/life balance because retaining talented employees is a critical part of their growth strategy. But it’s not just the Fortune 500 companies that offer this balance. Numerous smaller companies do so as well, so focus on this aspect while conducting your job search. Glassdoor.com, for instance, releases an annual list of the "Top 25 Companies for Work/Life Balance,"based on employee feedback. Companies that made the cut in 2012 included not-for-profit organization MITRE, consulting firm North Highland, Agilent Technologies and LinkedIn. Finance-related firms that made it to the Top 25 included FactSet, Discover Financial Services and Morningstar. So what can employers do? Fostering a culture of work/life balance is crucial for attracting and retaining good employees, since an increasing number of people may prefer the flexibility and low-stress nature of such an environment to the rigidity and stress associated with a more conventional workplace. There are numerous ways in which companies and employers can develop a better work/life balance. These include telecommuting, flexible work schedules, mandatory vacations and elective sabbaticals, access to childcare, workplace facilities such as a gymnasium and subsidized cafeteria, etc. While there are undoubtedly costs involved for a company that offers these benefits, the return on such "investments"-in terms of better productivity, lower absenteeism, recruiting talented employees, retaining them and developing greater commitment to corporate goals and objectives – will more than justify the expenses in most cases. MITRE, which ranked first on Glassdoor.com’s list of best companies for work/life balance in 2012 and second in 2011, was cited for its flexible schedules, paid time off and on-site cafeteria and gym. Among U.S. financial service companies, financial data provider FactSet won kudos for its excellent benefits, flexible scheduling and free food and snacks. Discover Financial won accolades for its wellness programs, flexible schedules, generous benefits and new learning opportunities.